Vitamin E is an essential antioxidant nutrient your body needs to fight disease. Your immune system also needs it to shield the body from infections. But the evidence is quite mixed; in fact, it might be saying that vitamin E supplements just aren’t that essential for your immunity. Proof of a vitamin’s importance to your immune system is what happens in its absence. For vitamin E, a deficiency reduces your immune response, and hurts “phagocytosis”—whereby the body literally devours invading organisms. Taking supplements can reduce certain infections in the elderly, such as the common cold. It can improve the age-associated decline in immune function. RECOMMENDED: How about vitamin E versus Alzheimer’s disease? In one major study, nursing-home residents over 65 years old were given 200 international units (IU) per day of vitamin E for one year. This led to fewer overall and upper respiratory infections and a lower incidence of common cold. But another study, which gave 200 milligrams (mg) a day for 441 days to people over 60 living in the community, failed to show effect on such infections. In a study among male smokers aged 50 to 69 who were given 50 mg a day of vitamin E for six years, there was no overall effect on the incidence of pneumonia. Now back to the good news. In a study, male smokers over 65 years old were given 50 mg of vitamin E a day for four years. 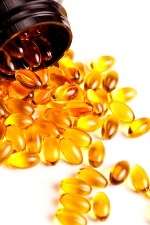 Vitamin E supplements lowered the incidence of common cold. Older city dwellers who smoked fewer than 15 cigarettes a day had the greatest reduction in common cold. And back to the topsy-turvy. A more recent study confirmed the above finding among city dwellers, but it also found that those smoking more than 14 cigarettes a day and living outside the cities, in fact, experienced an increased risk of common cold after vitamin E supplementation. And lastly, a disturbing study from Finland showed that vitamin E at 50 mg a day may increase the risk of tuberculosis by 72% in heavy smokers who also had at least 90 mg a day of vitamin C.
So you see the nature of the evidence is very unclear. I would advise that vitamin E supplements may not be your first line of defense against infection. Meydani, S.N. et al., “Vitamin E and respiratory tract infections in elderly nursing home residents: a randomized controlled trial,” JAMA August 18, 2004; 292(7): 828–36. Hemila, H., et al., “Vitamin C, vitamin E, and beta-carotene in relation to common cold incidence in male smokers,” Epidemiology January 2002; 13(1): 32–7. Hernandez-Garduno, E., et al., “Vitamin E supplementation may transiently increase tuberculosis risk in males who smoke heavily and have high dietary vitamin C intake,” Br J Nutr. January 2009; 101(1).